Boulevardia isn't just another festival. Boulevardia is truly authentic Kansas City experience. A pop-up party extravaganza complete with local vendors, tastings, live music, food, and more, Boulevardia prides itself as being a celebration that embodies Kansas City's spirit and cultivates local connections. Tickets are still available and start at $20, a great deal considering all the fun this weekend will be! Now on to how I became connected to all this awesomeness! A few months ago I met Emily of EB Leatherworks at First Fridays here in Kansas City. I had been following her on Instagram for quite some time and absolutely loved her beautiful minimalist jewelry; cheeky coasters, coffee cups, keychains, totes, and koozies; and beautiful leather bags. We met for coffee after that and decided to collaborate! 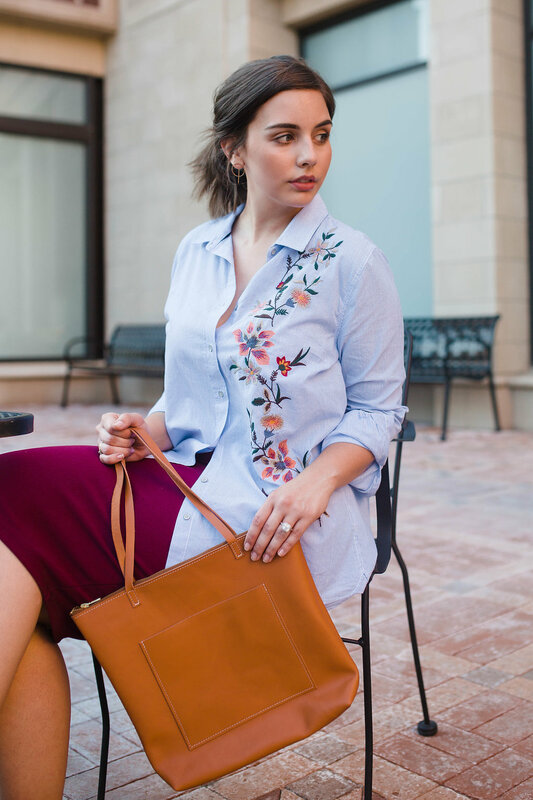 As part of our collaboration, we decided to style some super chic looks combining my wardrobe with earrings and purses from Emily's collection! You can shop all of the jewelry and bags in these looks this weekend in the Maker's Market at Boulevardia! 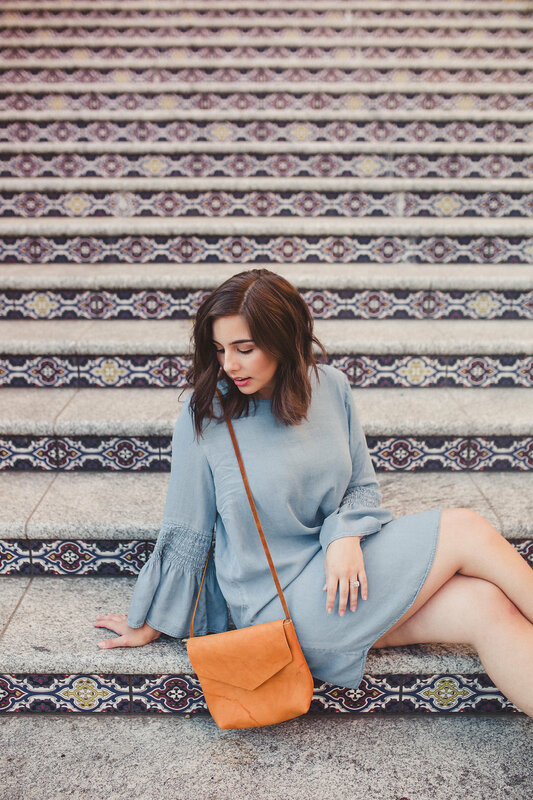 There are even a few exclusive pieces, including the crossbody below, that you absolutely won't want to miss out on! I'll be hanging in the EB Leatherworks + Alyissa Letters booth and am so excited to connect with everyone in person! And yes, you read that right. This is some crazy awesome super collaboration madness happening this Friday and Saturday and Alyissa Letters is in on the fun! Alyissa will be providing the artistic, home decor element to the booth with her beautiful prints, wood cutouts, and hand lettered pieces! I couldn't be more excited to work with these immensely talented gals! 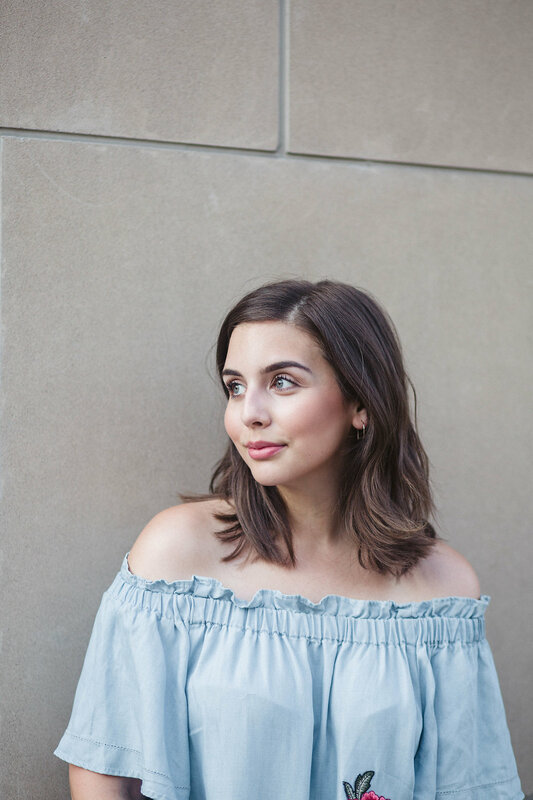 When styling Emily's pieces, I really wanted to demonstrate their versatility. 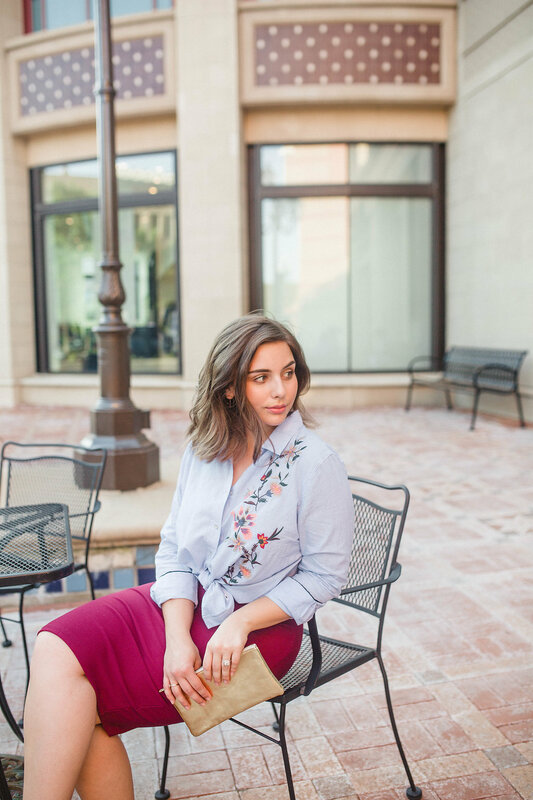 Each piece can seamlessly transition from day to night or work to weekend. Emily puts a lot of care and thought into her designs and always focuses on creating beautiful, practical pieces. 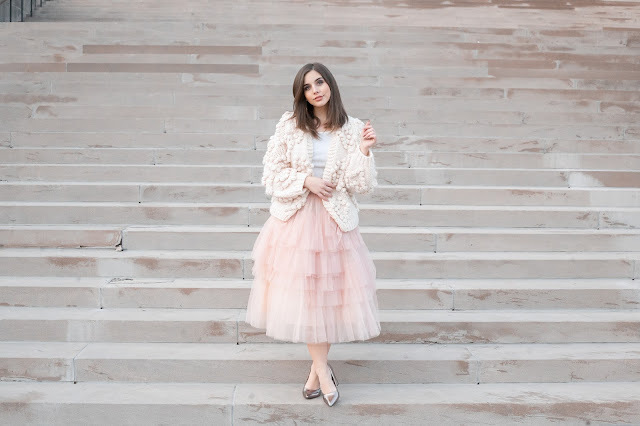 As per usual, I met up with my amazing bestfriendtographer, Tay Daliese of Hey Tay, to really bring these looks to life! I also must point out that every single look here is Boulevardia approved and pairs perfectly with a nice, cold Boulevard beer (I know, I'm shameless). For the first look I put together I wanted to show of this beautiful Boulevardia exclusive crossbody! I absolutely love the character of the leather, it makes each bag a completely unique piece. Emily hand selects the majority of the hides used to create her pieces and you can absolutely tell that they are very thoughtfully created. I paired this piece with one of my favorite dresses by Mossimo from Target! 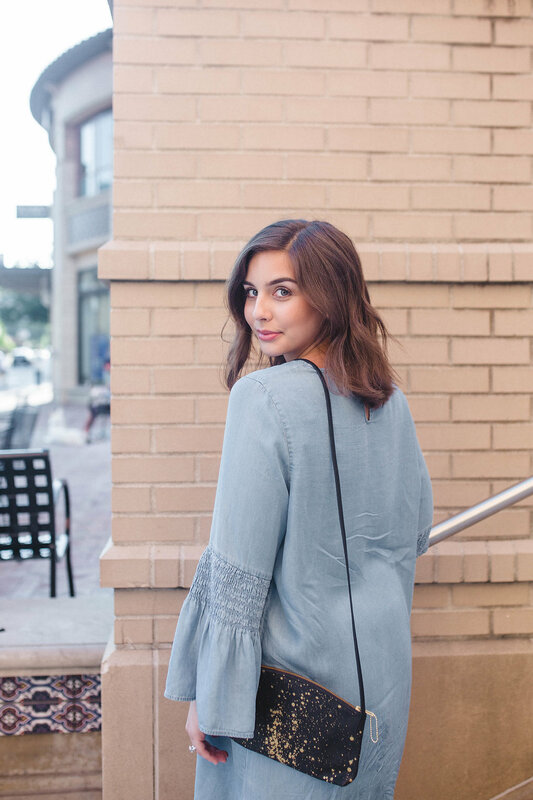 It has the most perfect bell sleeves, is super soft, and super comfy. I loved how the color of the crossbody popped with the blue of the dress. It really made the look! 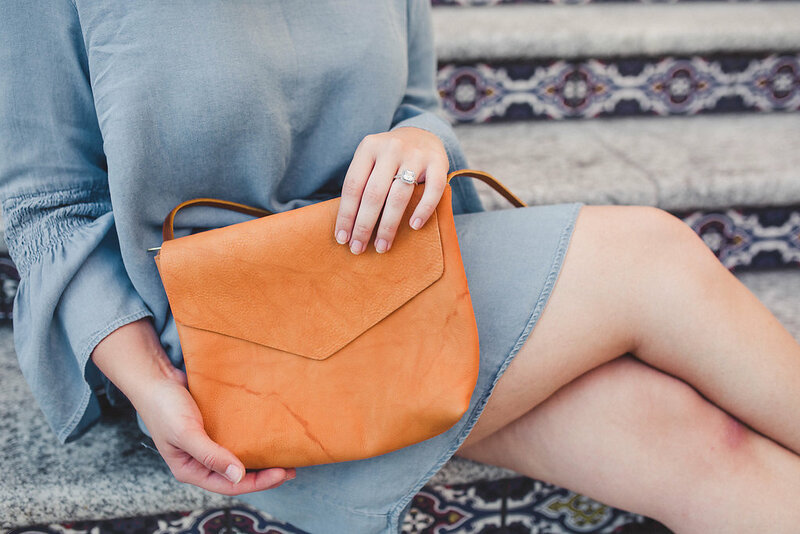 This crossbody is also available in gray and black, both of which are equally beautiful. 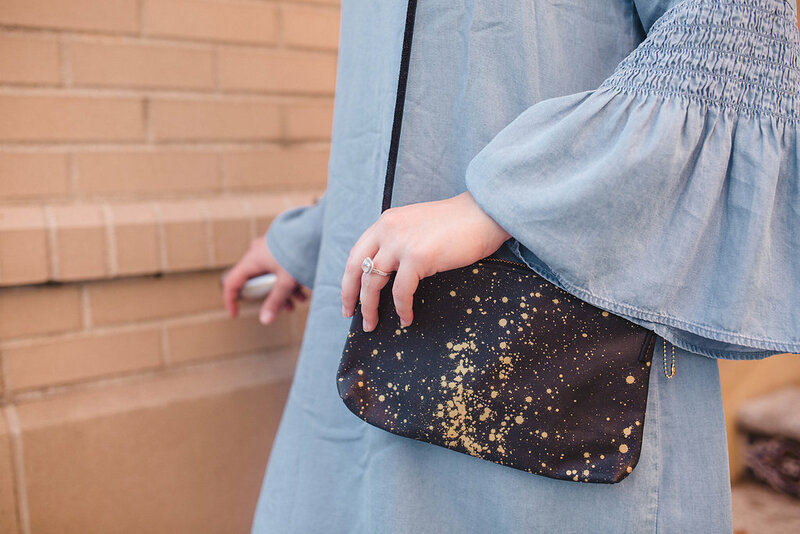 Another one of my favorite pieces is this incredibly chic hand-splattered crossbody. Another Boulevardia exclusive, these galaxy-esque beauties are each hand painted by Emily herself! I feel like the pictures don't even do this crossbody justice because the paint adds so much dimension to the leather! It also has a beautiful metallic quality making it the perfect accessory for a day or night out! 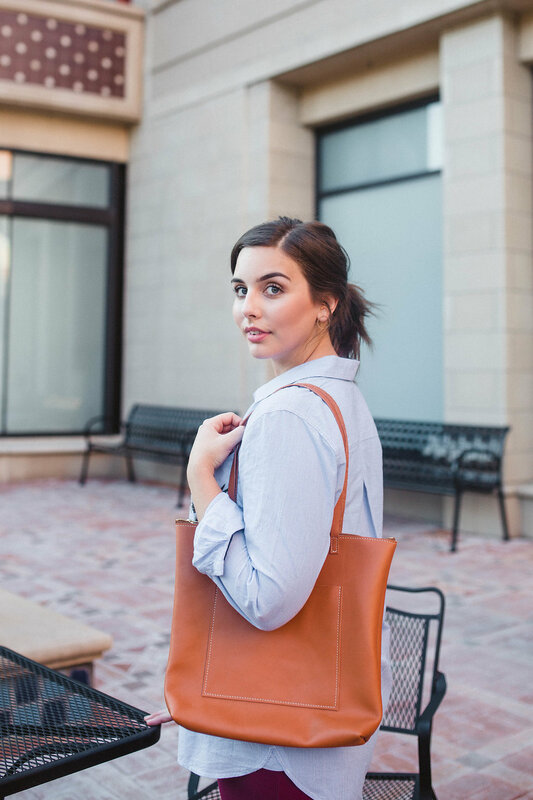 Another piece I love, love, love is this perfectly proportioned tote. Available with or without a pocket, this tote is absolutely beautiful! I can slide in a notebook, small laptop, iPad, and cell phone with room to spare which makes it the perfect bag for work. I wanted to do a day to night look for this outfit because I feel like it's super easy to spice up! 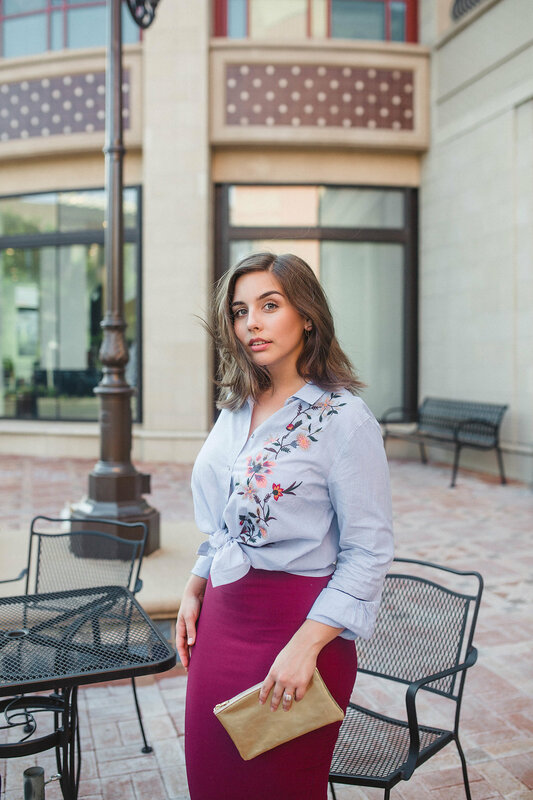 I wore this embroidered button-up un-tucked with a maroon bodycon pencil skirt. I really like the loose fit of the button up and felt that it contrasted so well with the form fitting qualities of the skirt. The maroon in the skirt also picked up on some of the more subtle tones in the embroidered floral part which made it even more chic! 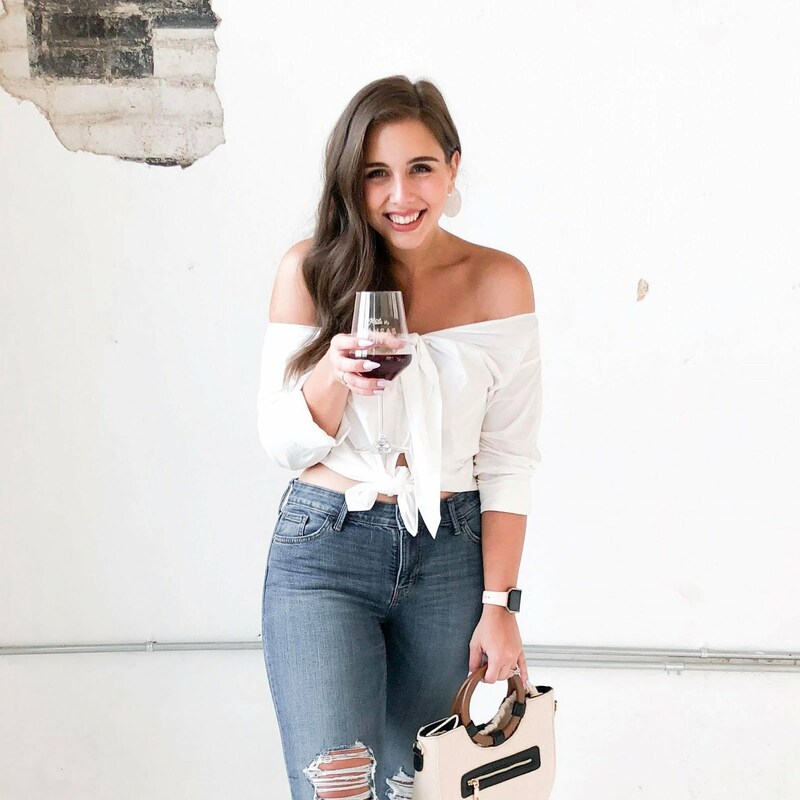 I feel like this is the perfect outfit for when you have happy hour immediately following a long work day! For the night version of this outfit, I just tied the button up in a simple little knot, took my hair down, and added this perfect little gold metallic leather clutch! It's amazing how the right accessories and styling can completely transform a look. This fabulous clutch is also available in rose gold leather, a champagne/silver leather, and a metallic accented suede that is oh-so fabulous (and available at Boulevardia). 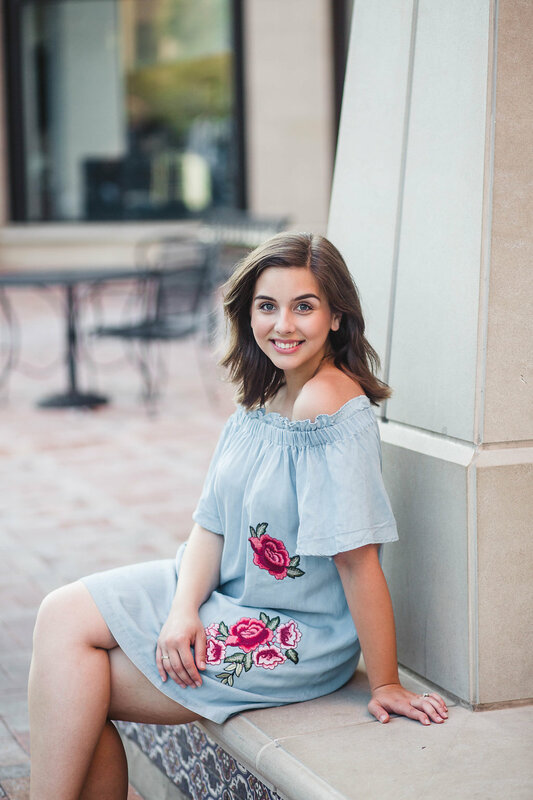 I had to throw in a weekend look that is perfect for day and night! 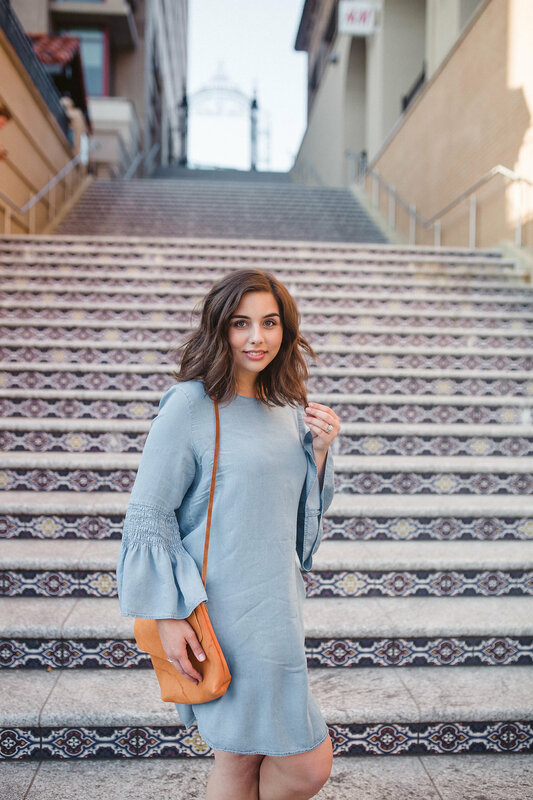 The off-the-shoulder trend is one I 100% support and the fact that this dress combined my fave neckline with chambray and embroidery just made it meant to be. I paired this super duper cute and trendy fringed crossbody/clutch with the look and absolutely loved how it stood out against the dress. 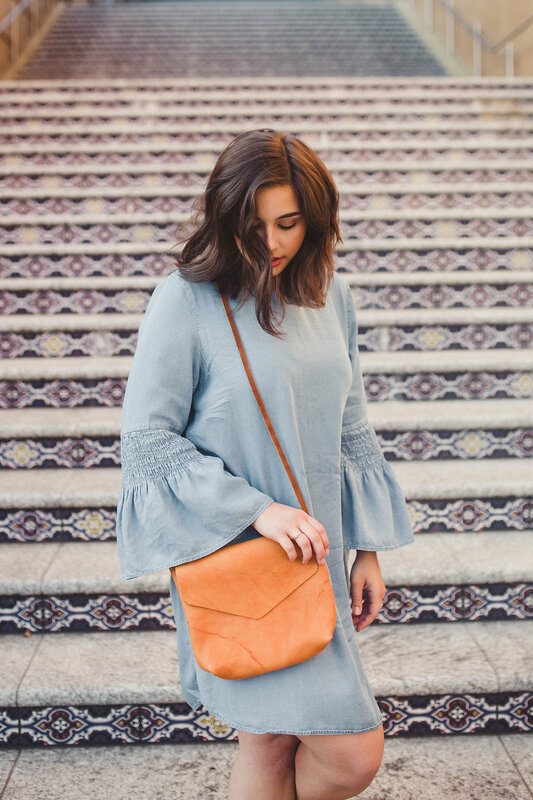 This crossbody is also available in a beautiful camel/tan color that you'll definitely have to check out in the booth this weekend! I love this piece and can see myself using it every day. I really hope we see you all in the Maker's Market at Boulevardia this weekend! It's going to be such a wonderful time and I'm so looking forward to connecting with everyone. What's your favorite trend this season? Which bag from EB Leatherworks is making you swoon? Leave a comment below and let me know!